Atomization and sprays are used in a wide range of industries: mechanical, chemical, aerospace, and civil engineering; material science and metallurgy; food; pharmaceutical, forestry, environmental protection; medicine; agriculture; meteorology and others. Some specific applications are spray combustion in furnaces, gas turbines and rockets, spray drying and cooling, air conditioning, powdered metallurgy, spray painting and coating, inhalation therapy, and many others. The Handbook of Atomization and Sprays will bring together the fundamental and applied material from all fields into one comprehensive source. Subject areas included in the reference are droplets, theoretical models and numerical simulations, phase Doppler particle analysis, applications, devices and more. 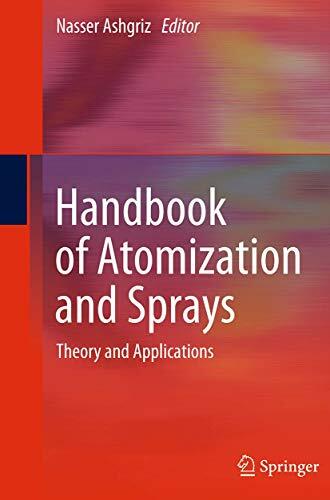 The Handbook of Atomization and Sprays presents the fundamentals, as well as applied material from all fields into one thorough, comprehensive resource. Subject areas included in the reference are droplets, theoretical models and numerical simulations, phase Doppler particle analysis, applications, devices and more. The handbook also covers: -Fundamental physics of the atomization process and the theoretical models and numerical simulations of spray -Experimental techniques for spray characterization and applications, as well as mechanisms of atomization -A wide range of industrial applications including but not limited to spray coating, medical, healthcare and agricultural sprays, spray cooling, and mass spectrometry, to name a few. 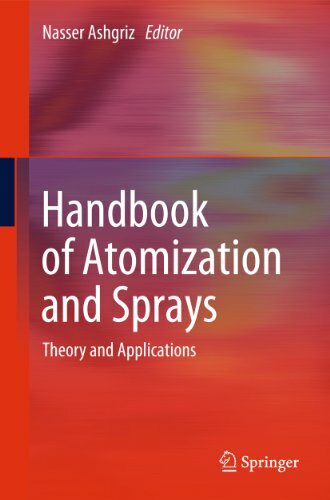 Authored by the leading researchers and professionals in the spray and atomization field, The Handbook of Atomization and Sprays is a must-read for researchers and professional engineers working in the field. Dr. Nasser Ashgriz is a professor of Mechanical and Industrial Engineering at the University of Toronto. Prior to U of T, he was a Professor of Mechanical and Aerospace Engineering at the State University of New York at Buffalo, Buffalo, New York. He obtained his B.S. (1979), M.S. (1981), and Ph.D. (1984) degrees in Mechanical Engineering from Carnegie-Mellon University, Pittsburgh, PA, where he was the recipient of two Bennet Prize awards (1981, 1983) in recognition of outstanding scholarly work in Mechanical Engineering.